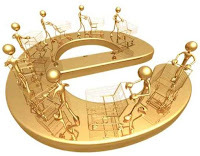 Non-profit organizations realizing the power of e-commerce. An innovative way to raise funds without asking for a traditional donation. Can you say, cutting-edge? a non-profit could have on their revenue if they owned a unique shopping portal and had just 1,000 supporters use it for their online shopping needs. If these 1,000 supporters spent approximately $100 per month in online shopping from stores they know and love, they would shockingly generating revenue for their non-profit in the realm of $1,600 monthly and $19,200 annually. All without asking for a traditional donation. What could this do to the face of non-profits? Thousands of big name retailers are paying cash back to online shoppers who link to them via portals with affiliate agreements. Non-profits are getting wind of this concept and using its technology to increase donations. Here's how it works: non-profit creates a turn-key portal through a company like Retail Benefits, online shopper links from the portal to retailers official website to shop as normal, retailer pays cash back based on purchase price, shopper and non-profit share the cash back pool...win-win. In times when needs are up and resources down, this solution could provide a new and easy way to generate much-needed financial support without making a traditional donation. POWERFUL clip by the great Michael Jordan. If you are striving to reach a goal, this will move you. NOTHING worth anything is easy. Like MJ, you have to work at it, "every single day of my life." Maybe it's time to change your mindset, think like a champion and BECOME LEGENDARY. Jeff Bezos, Founder of Amazon.com is not only a leader who followed his passion, but a leader who was able to execute in a HUGE way. "You don't choose your passions, your passions choose you.” Bezos told Inc., in 2004. The question is, how many people listen and do something about it? An inspiring stroy about a brilliant leader who did. Do you meet new people wherever you go? Do you know how to build rapport, establish a new relationship and get them to trust you? Easy for some, painful for others...but a MUST if you're in sales. The truth is, most people miss these basic communication skills and wonder why they're lacking leads. Embrace these simple steps and enjoy the doors that will open for you. 1. Smile - This is HUGE! Your smile is powerful and changes the environment around you. People will gravitate to you saying, "I want what she's got." 2. Encourage - Make people feel good. Give a compliment... about ANYTHING. You can make someones day at any moment. Do it. They will then engage with you because they want more. 3. Be genuinely interested - This is difficult if you share no common interests. Can you hang in there and make a connection? Don't be the most important person in the relationship, let them be. 4. Listen and pay attention - Did you know that when you allow someone to talk about THEMSELVES, they begin to trust YOU? Understanding this fact gives you a strong advantage. Master it...and don't ever interrupt. 5. Control the conversation - The one asking the questions is the one in control. Don't assume you know it all. Keep them talking about themselves as long as possible. Now ask yourself, "What can this new relationship lead to?" Perhaps you just built rapport with your next SALE! People will do business with others they like, know and trust. Let that be YOU.